More than 70 landslides have hit Pittsburgh this year — but the one on Route 30 last week was possibly the worst. The collapsed roadway severely damaged four residences and raised the City’s landslide cost to an estimated $12 million in 2018 so far. But funding for repair efforts remains slim. Even though southwestern Pennsylvania has a higher risk of landslides than any other region in the state, Pittsburgh only budgeted $1 million for landslide-related damages this year. Because most people view landslides as an upkeep issue, they rarely document or publicize the monetary extent of the damage. But this year, the damage was notably more severe. 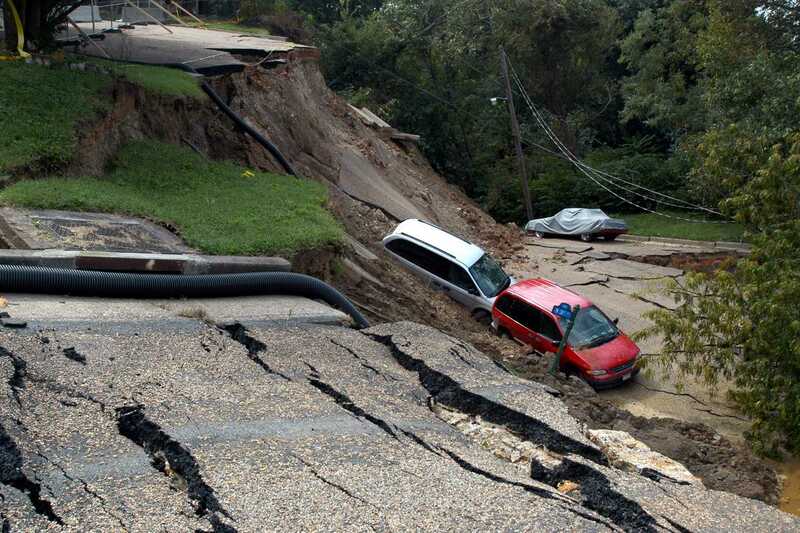 Still, the solution to crumbling infrastructure isn’t simply diverting more state and local funds to landslide repair. Yes, that needs to happen — but consistently achieving more cost-efficient results requires preventing landslides from happening in the first place. Landslides are mostly the result of loose soil, steep hills and moisture — and with the record amount of snow and rain Pittsburgh has received over the past several months, our famous hills are bound to be unstable. But while this year’s climate has been particularly destabilizing, that doesn’t mean preventative measures wouldn’t be effective in reducing the damage. In fact, the Pittsburgh City Council recently formed a task force to do just that. The goal is to document a list of unstable areas and prevent them from turning into actual landslides, according to Councilwoman Theresa Kail-Smith, the head of the program. One strategy is for the City to build robust, impact-absorbing fences in vulnerable areas — an expensive investment up front, but a huge money-saver in the long run. Preventative measures like these should be enough to stop most landslides from happening in the first place. But for instances when they’re not sufficient, only adequate funding can mitigate the damage. Former Republican Gov. Tom Corbett took a major step toward improving infrastructure funding when he signed a $2.3 billion transportation bill in 2013 — a 40 percent increase in Pennsylvania’s overall infrastructure spending. While this bill is an improvement, Allegheny County alone requires $1.8 billion from that bill for infrastructure projects, according to PennDot — and Pittsburgh’s roads are still bumpy and riddled with potholes in addition to having high landslide risks. Corbett didn’t successfully pay for the bill either — the tax hike he passed to pay for it only partially paid for new expenses. If we’re truly going to pay for adequate infrastructure spending, we need to raise tax rates significantly more. Because of improved gas mileage, Pennsylvanians pay 60 percent less gas tax than they did in 1970 — the primary funding for infrastructure spending. If Pennsylvania raised income taxes and put some of that money toward infrastructure, the state would have a more reliable stream of revenue. But maintaining infrastructure is also the federal government’s responsibility — as President Donald Trump repeatedly campaigned for. So if he could deliver on his campaign promise and increase infrastructure spending at the federal level, that would surely benefit Pennsylvania drivers.